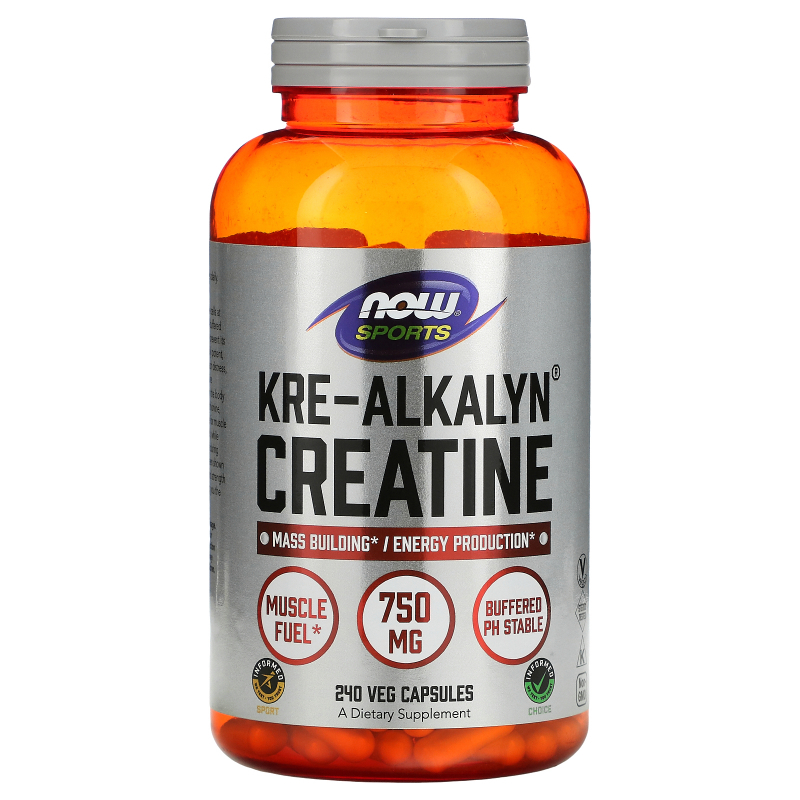 Kre-Alkalyn is a form of Creatine that reaches muscle cells at its maximum strength and purity. 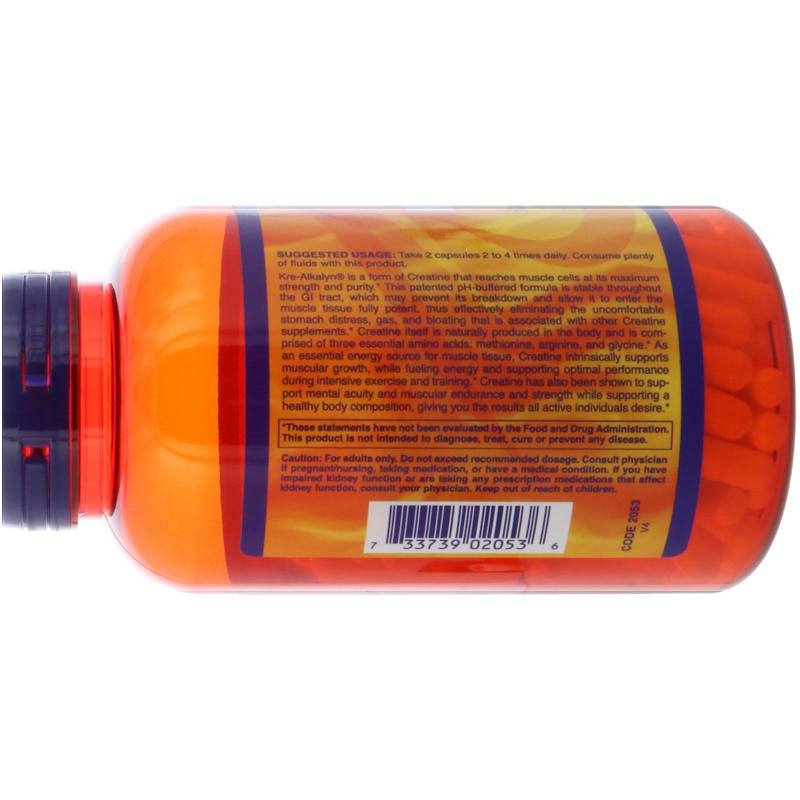 This patented pH-buffered formula is stable throughout the GI tract, which may prevent its breakdown and allow it to enter the muscle tissue fully potent, thus effectively eliminating the uncomfortable stomach distress, gas, and bloating that is associated with other Creatine supplements. Creatine itself is naturally produced in the body and is comprised of three essential amino acids: methionine, arginine, and glycine. As an essential energy source for muscle tissue, Creatine intrinsically supports muscular growth, while fueling energy and supporting optimal performance during intensive exercise and training. 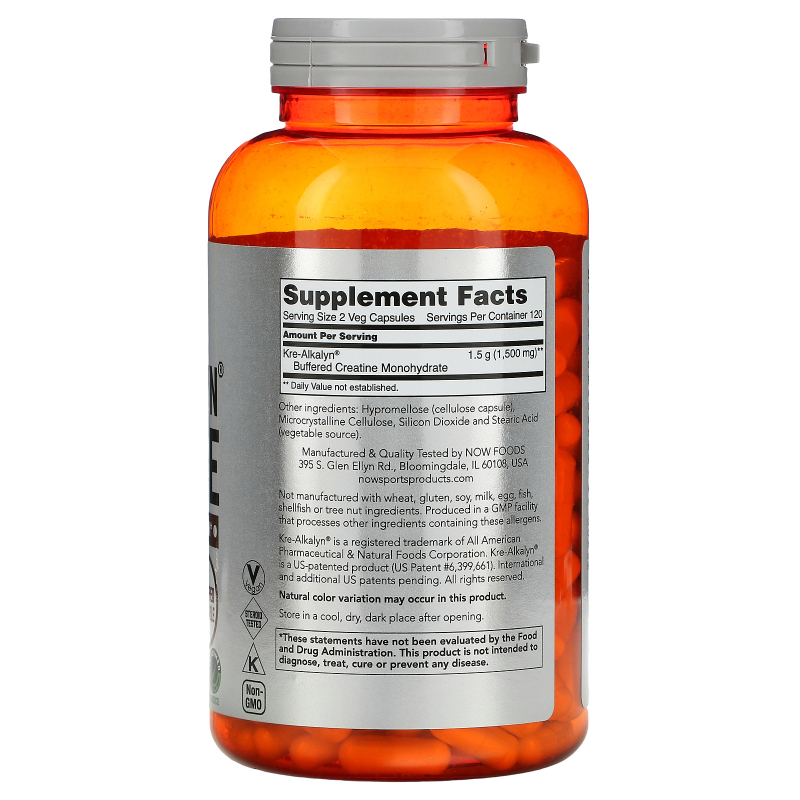 Creatine has also been shown to support mental acuity and muscular endurance and strength while supporting a healthy body composition, giving you the results all active individuals desire. Take 2 capsules 2 to 4 times daily. Consume plenty of fluids with this product. Caution: For adults only. Do not exceed recommended dosage. Consult physician if pregnant/nursing, taking medication, or have a medical condition. If you have impaired kidney function or are taking any prescription medications that affect kidney function, consult your physician. Keep out of reach children.